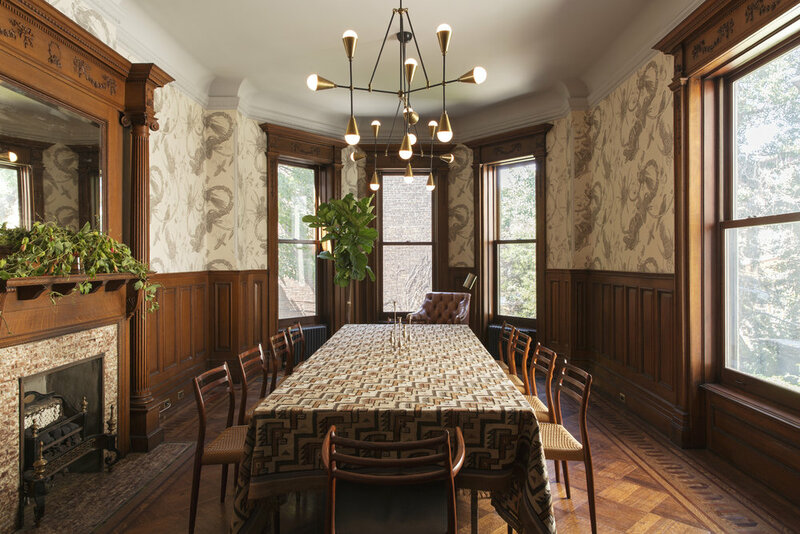 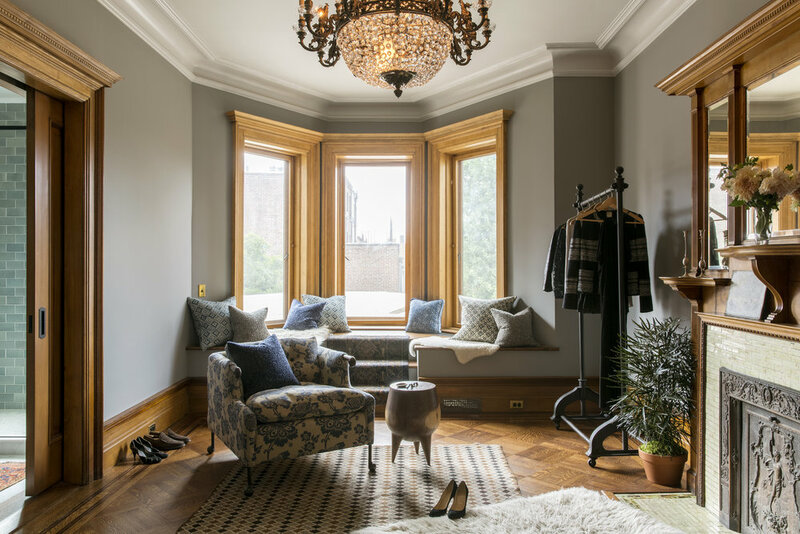 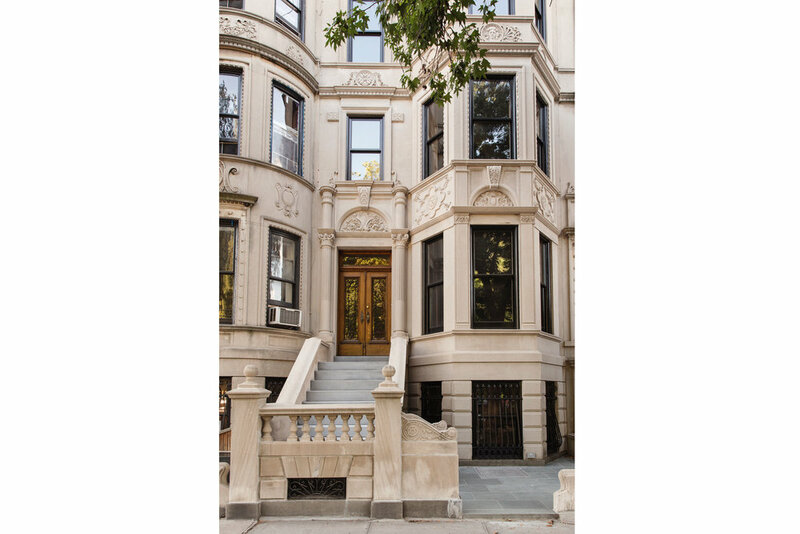 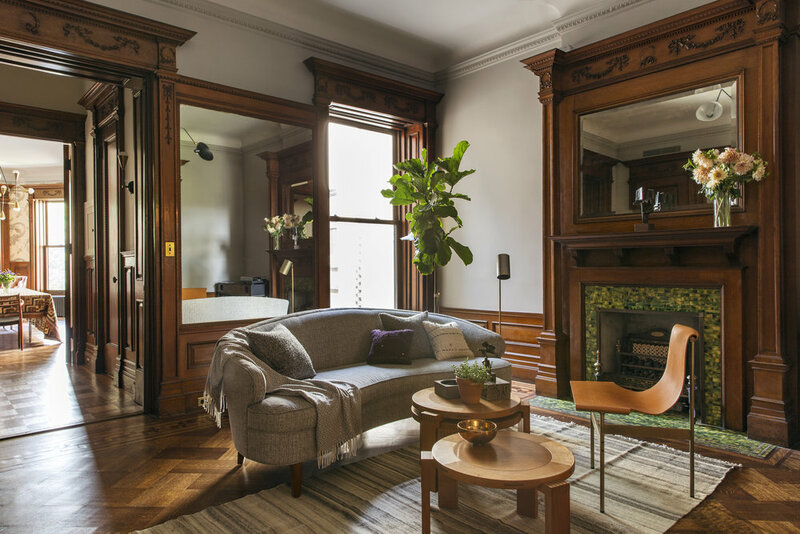 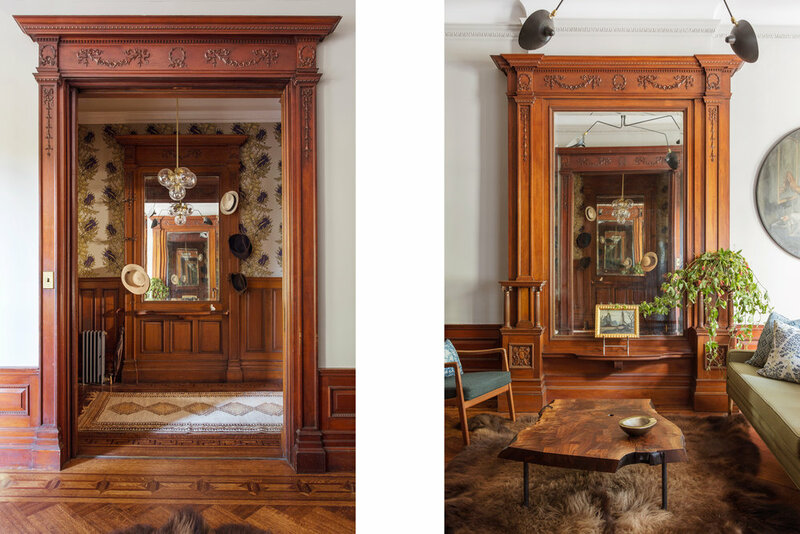 The Prospect Park West Townhouse is a grand 5 story 5,200 SF sandstone townhouse overlooking Prospect Park in Brooklyn's Park Slope neighborhood. 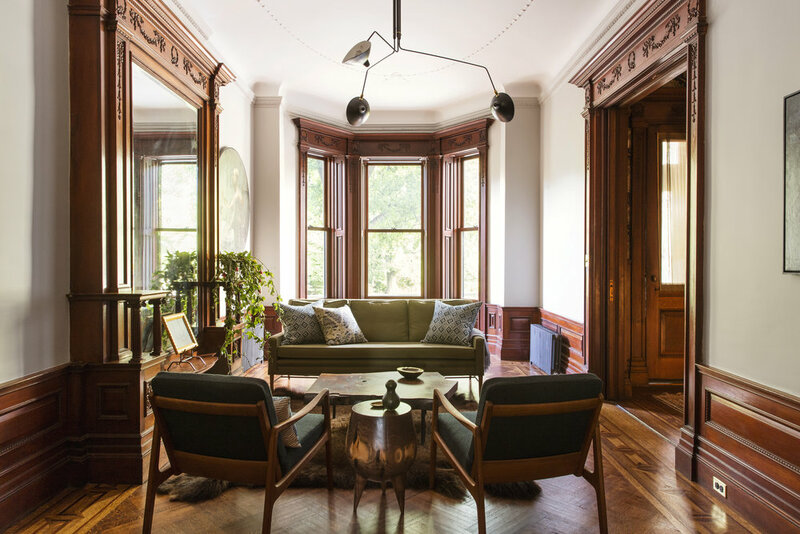 The house had been owned by the same family for a century prior to the renovation. 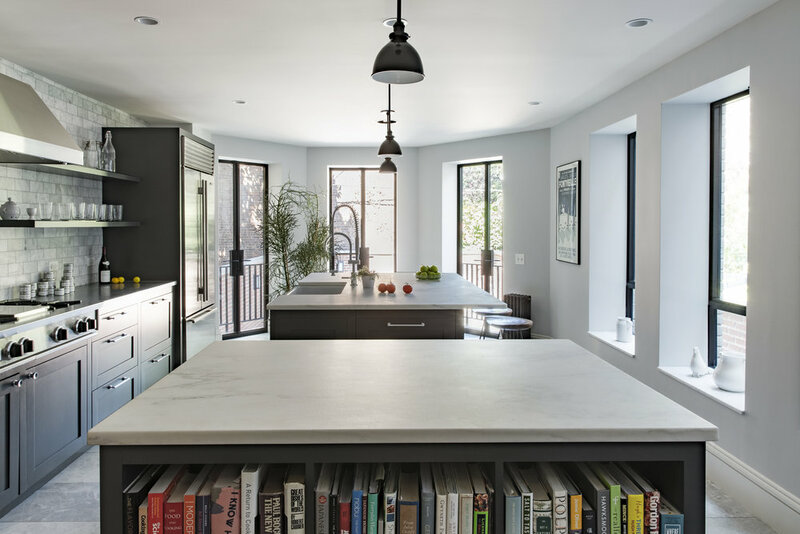 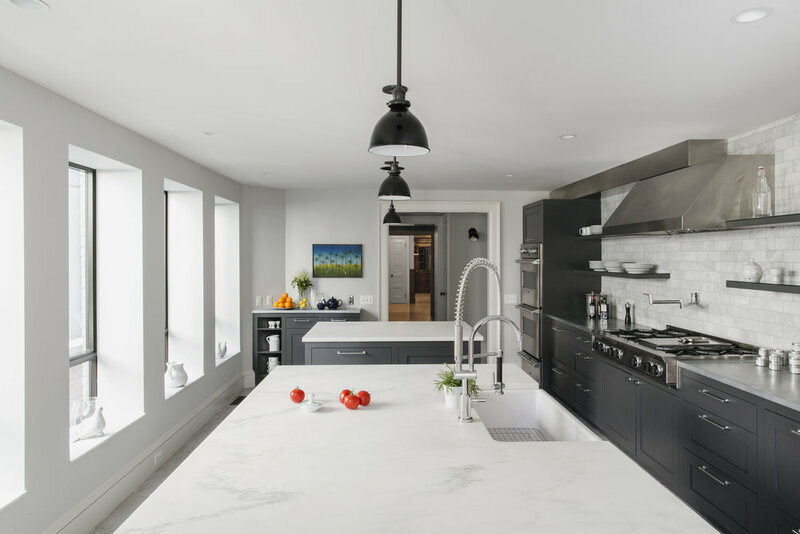 The architectural renovation was done by the Red Hook based design build firm, MADE Architecture. 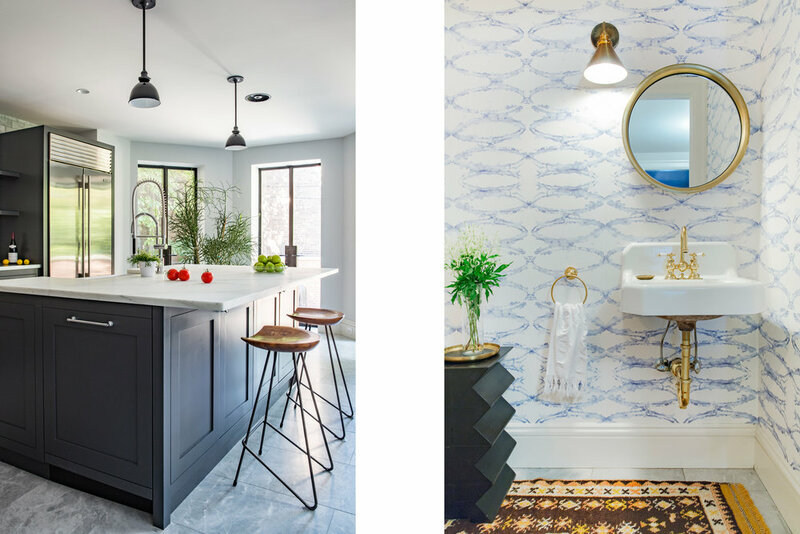 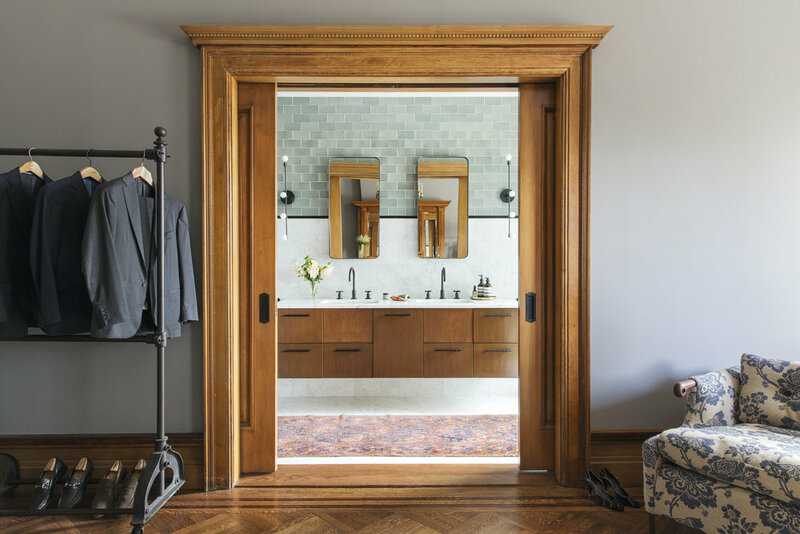 Elizabeth Roberts Architecture & Design assisted the homeowners with interior design, including the selection of furniture, decorative light fixtures, stone and tile floors, countertops, plumbing fixtures, paint colors, wall paper and other accessories.